A true San Francisco lover, KC Turner has spent the last decade devoted to the music community in the city. As a singer-songwriter, artist manager, show promoter and booker, KC has made a name for himself in the Bay Area Music Scene. 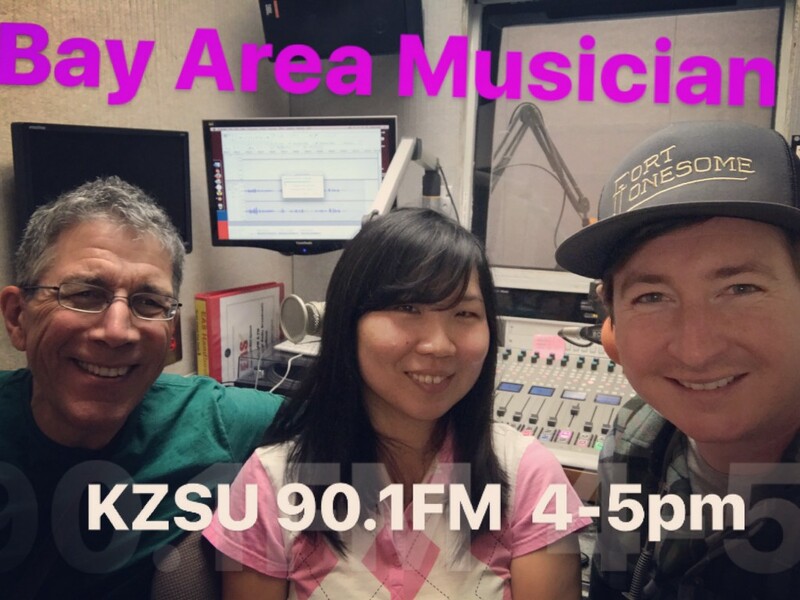 We had the pleasure of chatting with him at the KZSU studio about his career, the music scene in the Bay Area, his amazing partner’s support, and how they made it all work. I first learned about KC through Facebook. One of my friends was attending his open mic event and, as a curious musician, I went to his website and read about KC Turner Presents, SHHHHHongwriters Open Mic, House Concerts, Megan Slankard and KC’s music and tour dates. Based on the acts he was able to book, it was clear to me that this guy was doing something right. I signed up for the mailing list, followed, liked, etc. Although I didn’t make it to the events up in the city, I was cheering along. When we decided to create Bay Area Musician interviews, KC was top of mind because I would often get notifications about new events. I thought he would be a great guest to talk about the music scene that perhaps might still be thriving under the radar. We were not disappointed! Bay Area Musician: KC Turner was originally published in BayAreaMusician on Medium, where people are continuing the conversation by highlighting and responding to this story.